Mike Bevan, Holly’s son, contacted us this morning. Holly died this morning (12/09/2017) about 0700. She was 101 years old. She had been in an assisted living for the last three weeks because her condition had deteriorated to where she needed assistance available on a 24 hour basis. Prior to that she had been living at home. 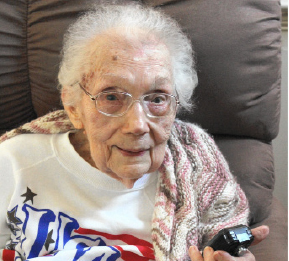 Holly was born March 20, 1916 and turned 101 last March. In 1942, she signed up to join the U.S. Navy WAVES (Women Accepted for Volunteer Emergency Service). Holly recalled her first night in the Navy. “There were eight women in the room and four of them were named Margaret,” she said. The WAVES nicknamed her Holly. She met her husband Wilbur Bevan at a USO dance when they were both stationed in Corpus Christi, Texas. The couple got married Oct. 27, 1944. Holly earned a Bachelor of Arts in journalism in 1951. She aspired to be a writer – she wrote a column for her high school newspaper, and used her writing skills to publicize and write newsletters for the clubs she belongs to. She earned her teaching certificate at the University of Maryland and a Masters degree in education from Johns Hopkins. 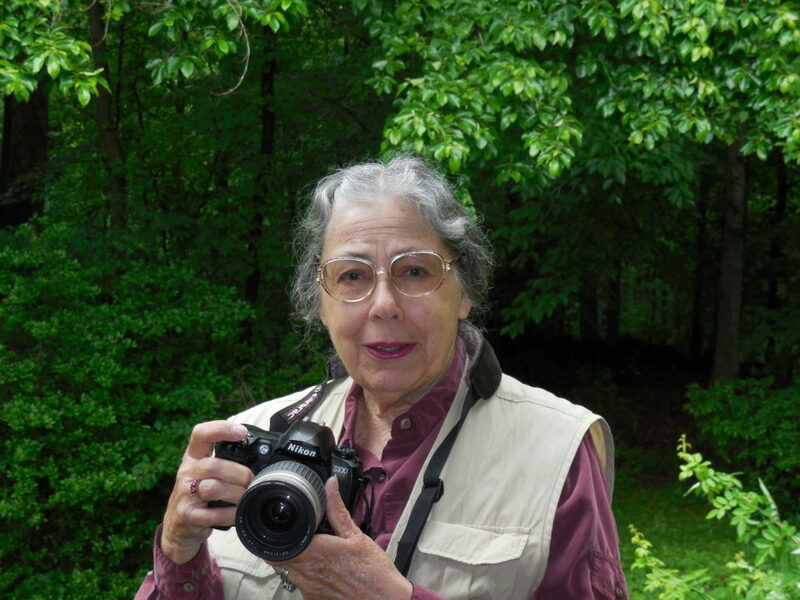 Holly and her husband Wilbur shared a love of photography; both belonged to the Arundel Camera Club. Until last year, Holly continued to coordinate publicity for the Arundel Camera Club. If you found your way to ACC via a classified in the newspaper, that was from Holly. You may also have noticed we have two end of year awards named after Holly and Wilbur. The Margaret H. Bevan Award for the Monochrome Prints Photographer of the Year and The Wilbur R. Bevan Award for the Slide Photographer of the year. As we approach Christmas, you may also be interested to know the following trivia. 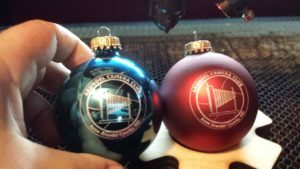 Camera club folklore tells of a gift so bad that it has been re-gifted at our Christmas party for ~30 years. It disappears and is lost for years at a time, then suddenly reappears. That gift is the Pretty Neat Cosmetic Organizer. The Pretty Neat Cosmetic Organizer sold for $3.99 in 1983. Wilbur was the first recipient of that gift. 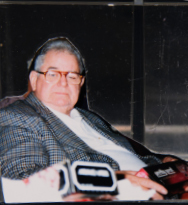 Here is a photo of him the night he received it. Our annual Christmas party is next week and you have been warned.